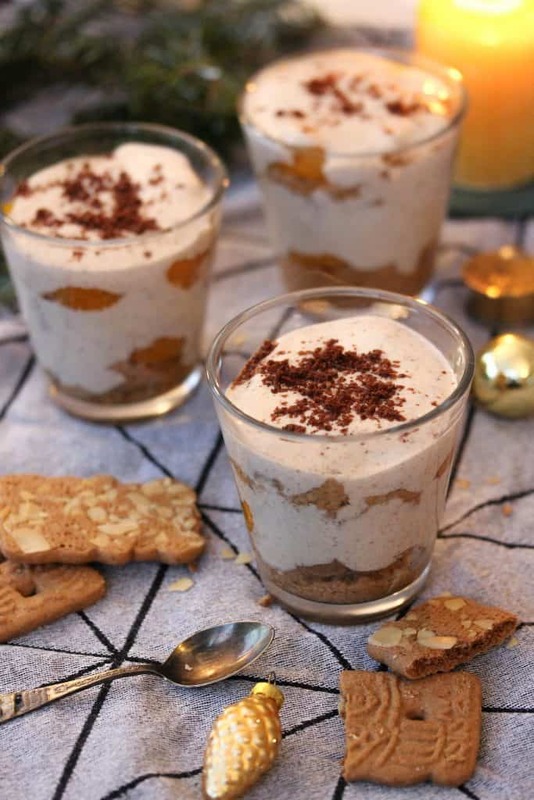 This sweet Winter Speculoos Tiramisu recipe is one of our seasonal most favorite desserts. In no time, without baking and cooking, you may bring happiness to your kitchen table. Only a few ingredients are needed and basically, everyone can create this delicious treat. Currently, we are in the middle of our exams period here in Italy, one way to make Claire happy after a long learning session is a dessert of course. The special about this recipe is that other than the traditional Italian Tiramisu, we have a much lower fat & sugar content. How we achieve that? 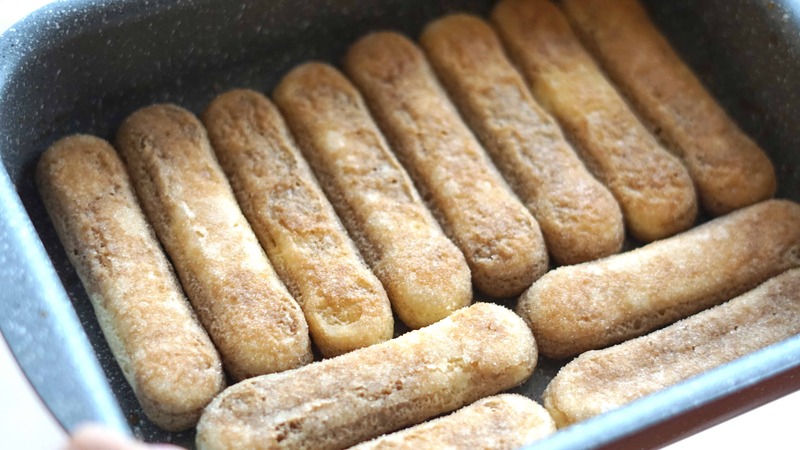 Well check out the recipe and find the change we obtained compared to the traditional recipe. On our Webpage, you may also find the Vegan Version for the Recipe below the How to do section. The key components of a traditional Tiramisu recipe are lying in the creme on top. Mostly, there comes the calorie and fat bomb (which is nothing bad in our opinion). 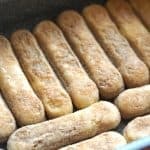 The reason why we have changed the recipe is as simple as it can be. We love to eat dessert, and mostly lots of it (especially now in the cold time – and because a new season of house of cards is out now). While the traditional recipe (containing mainly Mascarpone, Eggs, and sugar) is very heavy and after one slice you feel saturated. 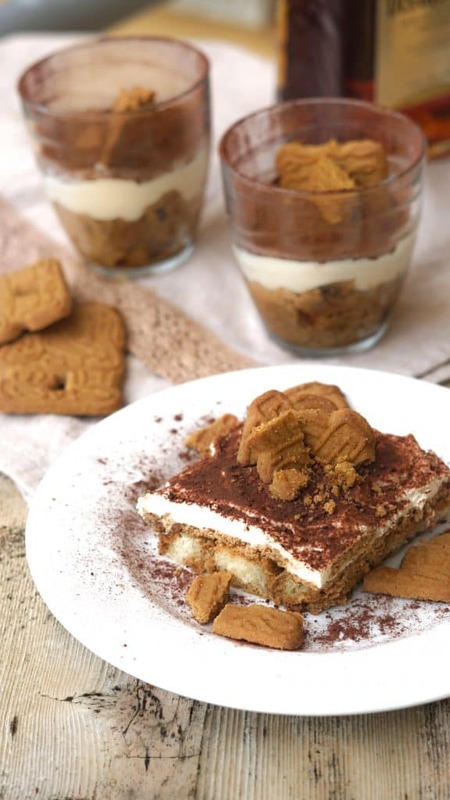 The Truefoodsblog Winter Speculoos Tiramisu recipe is lighter and 1+ Glas or plate can be eaten. I think you guys are going to fall in Love with this special Tiramisu recipe. And if you give it a try, let us know! We love seeing your comments, and especially your Instagram photos. Just tag them #Truefoodsblog so we can give them a look. 1. Assemble all the Ingredients, weight your creme components and fill them in a large bowl. Make sure you cook the espresso in advance so it can cool down (or place into the freezer shortly). At this stage, you may decide whether you make a whole form of Tiramisu or single Glasses for everyone (the procedure remains the same). 2. Fill the Bottom of your form (or Glasses) with the Spoon biscuit next to each other. 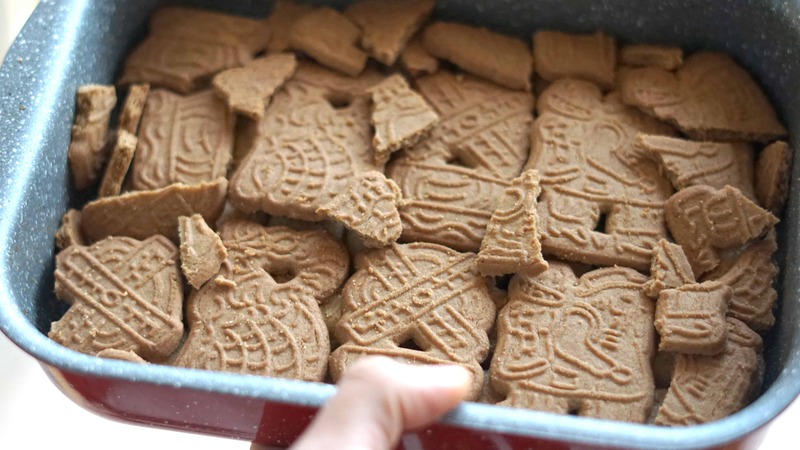 On top, you place a layer of the Spiced Biscuits (Speculoos) according to the picture (leave 6 Speculoos Biscuits on the side for the decoration). 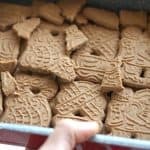 Now mix together the cold espresso and Disaronno (or Rum) and evenly drizzle the mixture over the biscuits (or into the glasses). 3. For the Creme: Place the SKYR, Mascarpone and Almond Drink in a large bowl and start mixing. 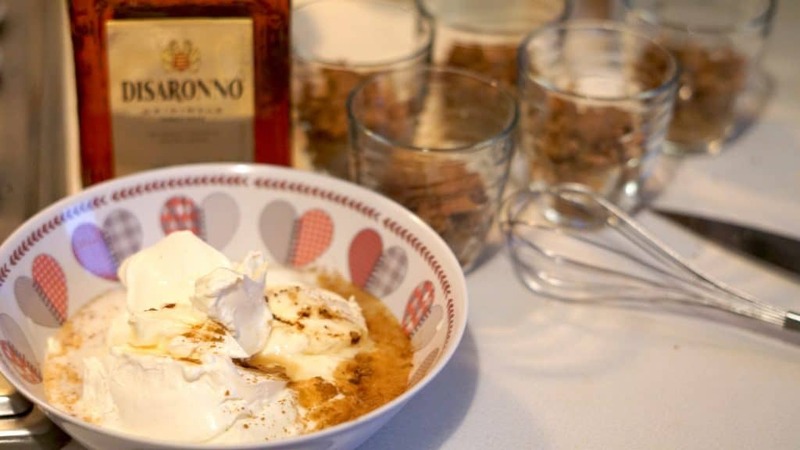 Add the Agave Sirup and 1 Tbsp of Disaronno as well as 1/2 Tbsp of Cinnamon powder and mix well. 4. 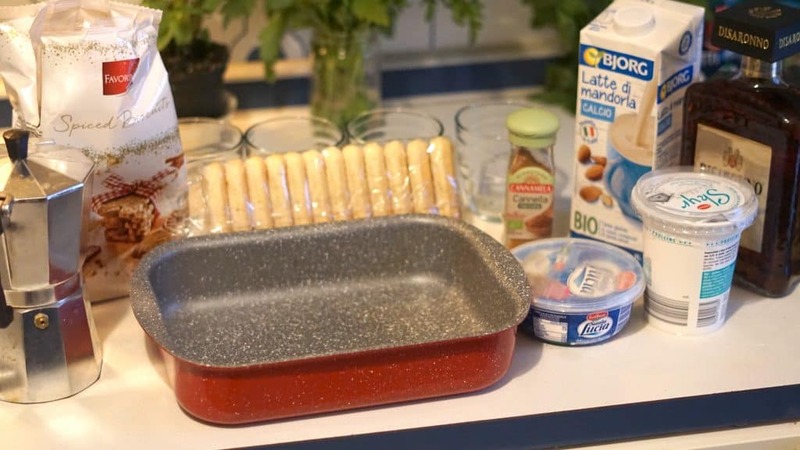 Fill in the creme into the form evenly (or the 6 Glasses) and put the Tiramisu into the fridge for min. 20 minutes (so that the creme can reach its final texture). 5. Now top the Tiramisu with unsweetened cocoa powder through a sieve and add some speculoos biscuits crumbled on top of the Tiramisu. Enjoy this medium-heavy sweet treat together with friends and family. 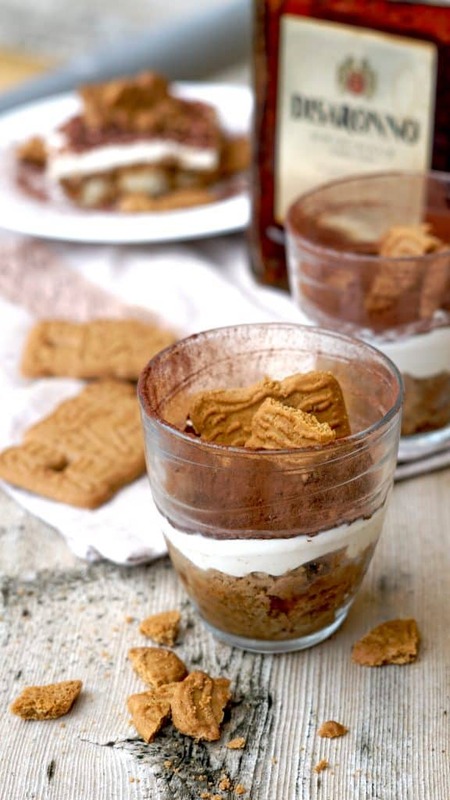 I love tiramisu and I love speculoos and this looks absolutely divine!